Dancing sunlight and happy colors of green and yellow make this a bright and cheery room at our bed and breakfast in western NC! 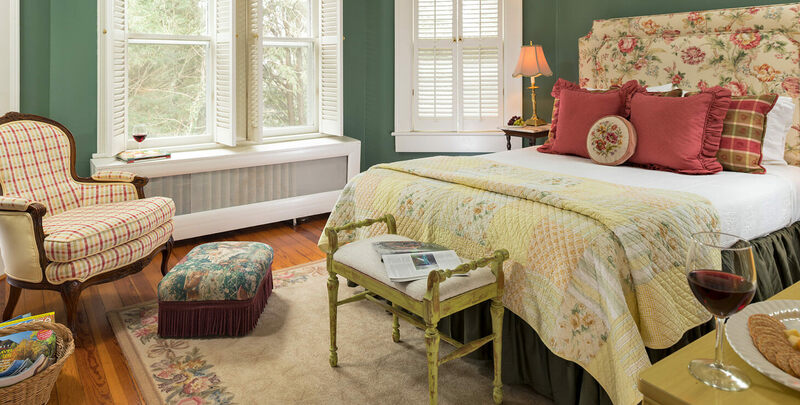 This sweet and simple room offers the look and décor of Southern elegance in the Carolinas. Start your day by looking through the large bay window at the beautiful foliage and end your day by enjoying a good book by your cozy fireplace. On a quiet summer night, Plott Creek can be heard meandering from the mountain tops above to the valley below!